You don’t have to use any chemical agents to make our hair shine and delight with its color. Herbal conditioners, balms and rinses will bestow it with a beautiful tint. Besides, they will regenerate it as vegetable dyes, as opposed to chemical ones, do not penetrate hair and thus leave its structure intact. How to use them? Apply the henna conditioner or balm (the brand is up to you) washed hair. Pour powdered Henna into a bowl and mix with water according to intstructions given by the manufacturer. Apply the henna to the length of the hair and wrap the hair with plastic and a warm towel. Herbal balm has creamy consistency, so it doesn’t need any extra preparation. 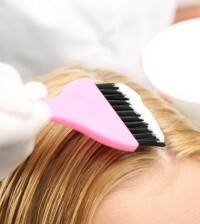 Leave it on your head for 30 – 120 minutes, depending on the color intensity desired. Rinse with warm water – DON’T USE SHAMPOO ANY LONGER NOW! Coloring and nutritive properties of henna depend on the plant’s age. The highest dye quantity is accumulated during the first few years of its growth. This is when the raw material for dyeing is obtained, which gives shades ranging from red through rusty red to golden blond. 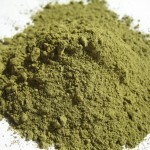 Whereas for a henna plant over 10 years old, its dye content is decreasing. This is in turn a period to acquire colorless henna – a perfect conditioner smoothing and polishing even badly damaged hair. As a result of the oxidation process the color will darken and get more intense shade in a few days after dyeing. Thus this is important to perform the second hair washing only after a few days. Using vegetable colorants you can dye your hair as frequently as you wish. Even several colorization sessions at short time intervals present no problem. Depending on the hair growth pace, the optimal interval between dyeing sessions is 3-4 weeks. Rhubarb for blondes – 3 handfuls of dried rhubarb root grind until powdered, add juice of 1 lemon) and a dash of olive oil. Thin the pulp with boiling water. Apply onto hair. After half an hour the natural ashen tint of the hair changes into honey-gold. Walnut for dark hair – mix 3 handfuls of ground green wallnut shells with a dash of fruit vinegar, olive oil and boiling water into uniform pulp. 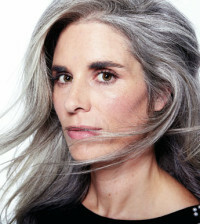 As early as in 20 minutes hair will become one tone darker. For darkening your hair – sage, rosemary, dried raspberries and ivy fruits, boil in half a liter of water. Drain and wash your hair in this decoction. To give your hair a russet shade – 2-3 handfuls of herbs: marigold, red hibiscus and turmeric, boil in half a liter of water. Drain and wash your hair in this decoction. For bleaching your hair – 2-3 handfuls of herbs: mullein flower, privet leaves and chamomile (infusion), boil in half a liter of water. Drain and wash your hair in this decoction. make an infusion from two handfuls of dried chamomile and half a liter of boiling water. Filter it and add juice of half a lemon. Massage into (washed beforehand) hair and leave on it. 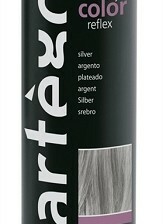 It brightens hair a little and makes it soft and flossy. If used systematically after washing for a period of two months makes dark blonde hair become golden. How often can you change the colour of hair?